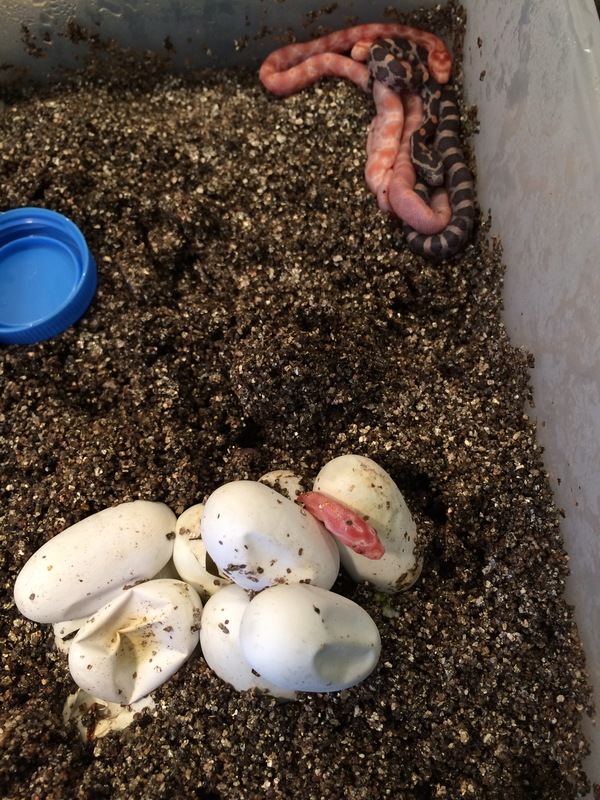 Cookie’s Second Clutch Hatches!! – Never Stop Questioning! Most of you will remember my surprise discovery of a second clutch of eggs from Cookie in early June. 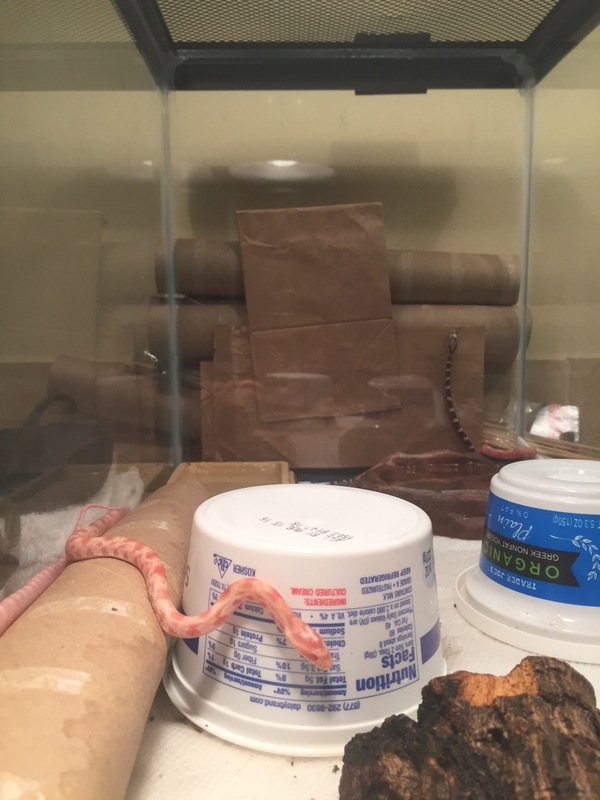 I was hoping that the babies would hold out and hatch the first week we were back to school but unfortunately the toasty warm incubator in the Caldwell laundry room/snake nursery was too ideal an environment. 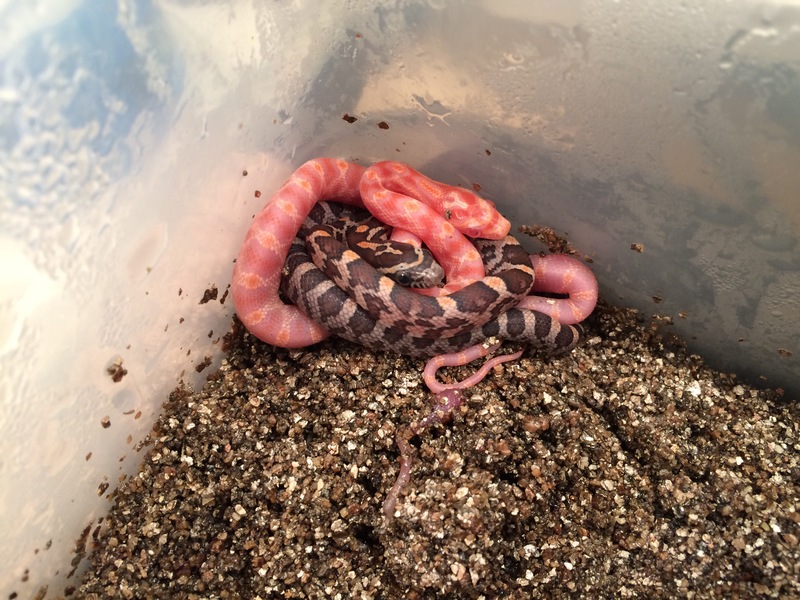 So excited that we have FOUR Amelanistic (red albino) babies and Four Okeetee already. 2 more eggs to go!! 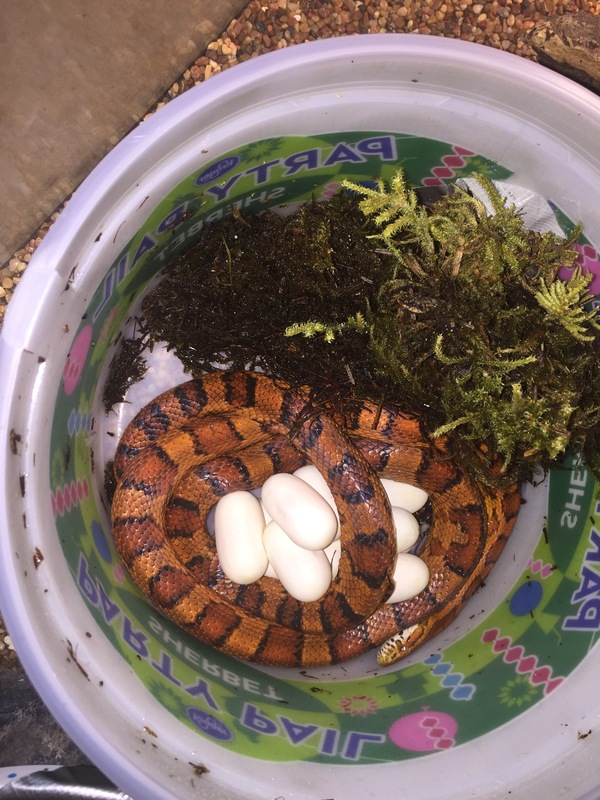 Stay tuned and let me know if you are interested in adopting a baby corn snake. Wow ,, SOoo exciting!! They are beautiful ! !